Traveling with children during the holidays can be an adventure. The key to a stress free trip (oh how we wish) is preparation. You’ve spent countless hours making sure every detail is taken care of for your family these holidays. Something is, of course, going to go wrong however. Flights get delayed or worse, canceled. Cars get flat tires and holiday traffic can slow down your travel time. 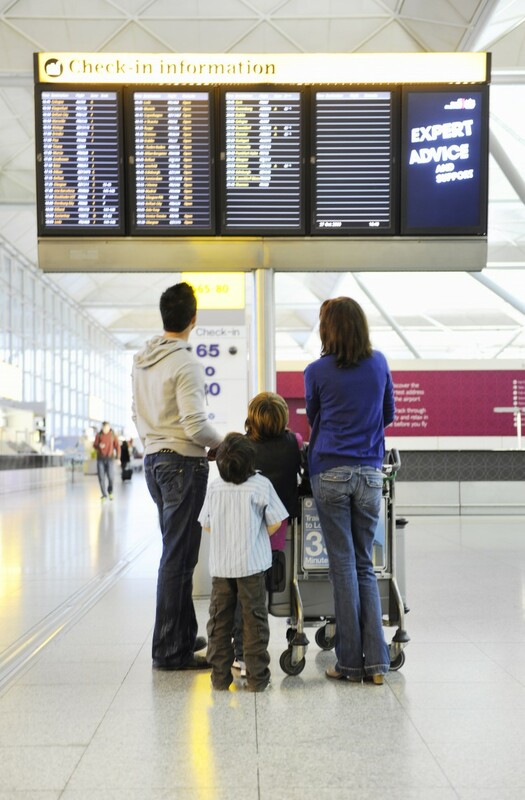 To keep your sanity while driving or flying with your children this holiday season, use these travel tips to find peace and joy. Expect delays when traveling this holiday season. Mentally prepare yourself that something might go wrong. The holidays are stressful enough; don’t add to it by expecting travel to be perfect. Prepare early. There’s nothing like the stress that comes with the last minute to-do list. Make a list of what needs to be packed and check items off as they go into the suitcase. Keep the list on top of the suitcase until you leave so you don’t question yourself 50 times whether you packed your daughter’s favorite pajamas or your own toothbrush. Buy small new toys to entertain your children. We all wish our kids would sit patiently but what really happens is they get bored. You don’t need to dip into your Hanukkah or Christmas fund; pick up a few things at the Dollar Store. A new coloring book with Jake and the Never Land Pirates crayons can buy you some extra quiet time. Pack snacks and drinks. There is nothing worse than a “hangry” child (angry because they are hungry). Choose sippy cups that don’t spill and snacks that aren’t messy. Have wipes and a plastic bag for the trash. 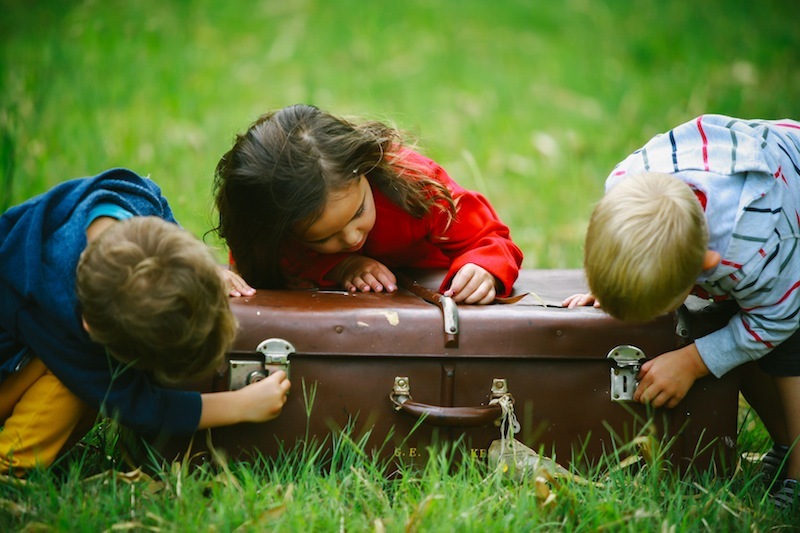 What do you pack to keep your children busy? Make sure the car is clean and extra items are removed. Children will make a mess and you will accumulate things throughout the road trip. Stock the car with supplies. Pack toys, snacks, paper towels and plastic bags for the inevitable mess and extra bags in case your child gets motion sickness. Place things strategically in the car so that they are easy to reach. You don’t want to listen to your daughter beg for something she can’t reach for the next 50 miles. Make sure you can reach things too so you can keep your eyes on the road. Consider your child’s sleep schedule. If it is a short drive, consider waiting closer to nap time so that they may sleep longer. If it is a long drive consider leaving early in the morning so they sleep the first few hours. Dress in layers so that they can be removed in the car. We’ve all heard the whine of “I’m hot” or “I’m cold.” Everyone isn’t going to be comfortable at the same temperature so layers will help even that out. Have directions in more than one area. If your toddler is playing on your phone and your car’s GPS suddenly says “recalculating,” one of you might have a meltdown. He is not going to want to give it up and you need directions. You could do a crazy thing…print out directions. Incorporate bathroom breaks and stretching stops. Make each child “try” to go to the bathroom so you don’t have another one asking to stop 5 minutes later. Provide the opportunity to get out of the car and stretch. Let the kids run around at a rest stop. They’ll wear themselves out and you’ll have some time of peace back in the car again. If your children fall asleep, utilize this as “me time.” Listen to an audio book or grownup music. Turning the radio off and just having a moment of quiet can help you relax as well. 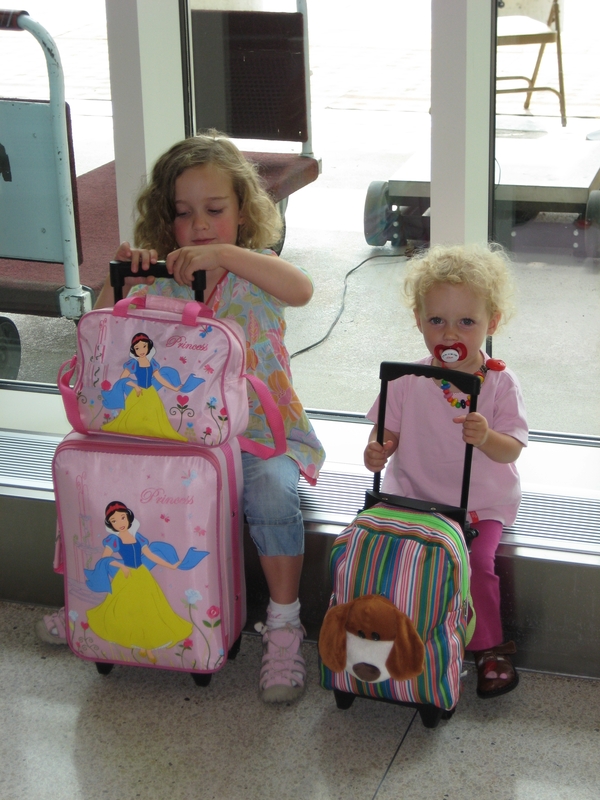 Do you prefer to board first or board the airplane last with your kids? Completely empty your diaper bag or purse and restock it with only the items you need for the flight. When your baby is crying, digging through your bag for his pacifier while trying to board the plane will stress you out. Get to the airport early. Make sure you have enough time to find parking, check your bag, get through the extra-long security line and still reach your gate with plenty of time. Prepare as if your flight might get delayed. Have extra diapers, formula, snacks and toys. Only pack quiet toys that won’t roll away. This will keep you from being annoyed by a noisy toy or continuously picking up your child’s toy. Board the plane early or last. Families are called to board the plane before the rest of the group. If you need to pop down a stroller or settle your children in their seats this is a great time. If you have a fussing baby or an anxious child, wait until the last person boards to give you time to calm them. No matter how you travel this holiday season, there are many ways to plan ahead and limit stress. You can’t prevent everything from going wrong, but if you take these steps you might just find the Merry in your Christmas. Want more tips for traveling with small children? Visit the MilitaryShoppers’ Pinterest page.